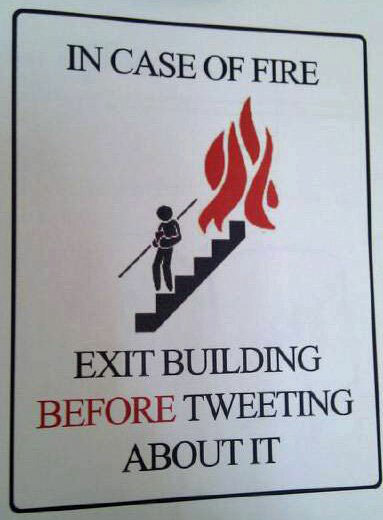 Exit building before tweeting about it. Created about 7 yrs, 6 mths ago (October 8, 2011). Updated about 7 yrs, 6 mths ago (October 8, 2011).